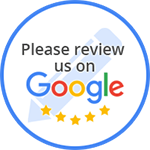 “I was combing through Yelp for another matter when I decided to see what people say about my marvelous automobile technicians, A. German Auto Services. Just as expected, almost all mention how amazing they are, especially the proprietor extraordinaire Victor. My brother and I both bought new Mercedes Benz E350's on the same weekend back in 2006. We both had our vehicles serviced at the dealer where we had purchased them. At the time I was a single mother raising two sons and out of habit I always consult my elder brother before making a major purchase. However, after a year or so I noticed my brother no longer serviced his car at dealer. I asked him about it, thinking he may have gone to another dealer. He informed me that as a result of the amount driving he was doing for work he could no longer afford the time it took him to check his car in for maintenance and wait for a rental at the dealer. A friend of his who also drove a Mercedes told him of his mechanic who was right here in Pasadena who accommodated his own schedule and would have the rental car people on time to pick him up. So my brother decided to try Victor, and my brother has used him ever since. I was little bit hesitant, so it took me a few more years to try A. German Auto. When my car was about 5 years old and the warranty expired, something broke while driving on the Pasadena Freeway. I called the dealer and they told me to have the car brought in, but they could not tell me when they would have it ready. I called my brother and he had Victor call me immediately. Victor calmly, and in that soothing way of his, informed me that though he did not know exactly what the problem was, what ever it may be he was confident I would not be out of my car for no more than two days. He was as good as his word. I came in around 3pm and had my car ready by the same time the next day. Now, I drive no where near the amount of miles my brother does, but I did some investigating, being the bookkeeper that I am. I compared my maintenance and repair bills between my vehicle and that of my brother's for the first 5 years of ownership and found that, even though he had over twice the miles, his expenses for vehicle maintenance where comparable to my dealer serviced car. Since my first experience with Victor, I have had no reason to go back to the dealership and pay they're inflated rates. “We have been taking our Mercedez Benz cars here for 10 years. The quality of service is amazing. The customer service is second to none. The prices are great. When the service warranty ran out we looked for a german car repair shop that is high quality service without the unsavory costs for repairs. AGA is just that! They are open Monday through Saturday and are convenient for your work schedule. Stop in and let them know that Lonnie & Theresa referred you! “I appreciate experience. I own a Mercedes Benz E320 that is 20 years old and has 225,000 miles on the car, and it runs like a Swiss Clock. Like a good Doctor, it is important that the patient goes to the same Doctor to note the progress made. In the case of my car the Doctor I go to regularly is A. German Auto Services. There are four Journey Men Technicians with over 90 years experience accumulated. Victor, who is the owner, needs only to hear my car's engine purr to see if any adjustments are needed. I change the oil regularly of which Victor uses Factory Mercedes Benz Oil, only the best. Recently I needed my brakes replaced and repaired. I called and made an appointment and brought my car in. By the time I was half way through with the LA Times my car was ready. As in any business there is always going to be one person who is a naysayer. I read the one negative review and I find it interesting that the author never set foot in my mechanic's shop, sent his girlfriend did he. No way that something was lost is translation? Well, remember that someone actually told this group that they would never make it with a name like the Beatles. Related to the people that still thought the world is flat, and that Madonna should not quit her day job! Point being that this shop has 99% of the people describing the great experience in taking the finest automobile made in the world to A. German Auto Service. “Victor, the owner is fantastic! He calmly explains what needs to be done to my cars and why. He is honest and truthful, and if something is not necessary hetells you. I always went to the Dealer before, but no more. A very good friend referred me here and I am grateful forever. I have two Mercedes and they are in great condition thanks to Victor. Once you there you will see just how different this shop is. You can trust them. The car is done when promised and price quoted is fair. No more Dealer, Victor is 'the man'along with Carlos who told me he worked for several years with top Dealerships. He is so professional. I used to hate getting a car serviced, now I am actually happy to bring the cars in! I am about to buy a new car again and I must say I plan to have it serviced only here! “My husband and I have used several different mechanics in the San Gabriel Valley, but we now only use A. German Auto. We have a VW Jetta and a BMW 328i. We previously had a BMW X3. My husband is VERY picky about auto mechanics (like many people, he is hesitant to trust any of them!) but he really trusts the mechanics here, especially Jose! They have taken excellent care of all of our cars and always come in substantially below dealership prices. We have referred two friends to Jose who also have a VW and a BMW.